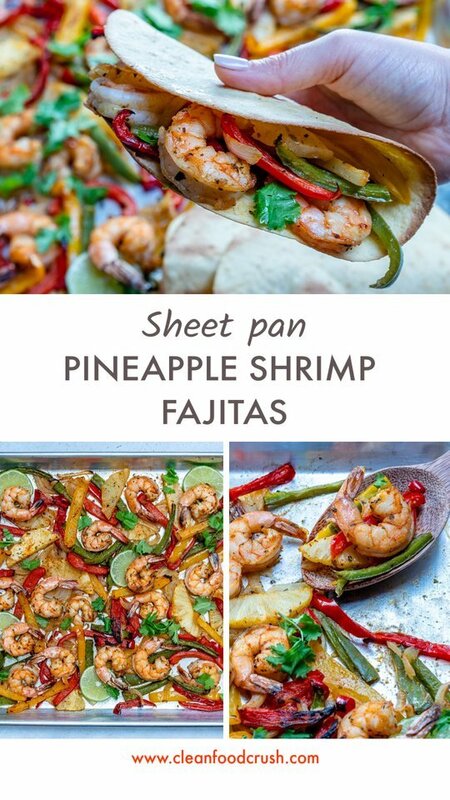 Sheet-Pan Pineapple + Shrimp Fajitas Make Clean Eating SIMPLE! Savory + Sweet and SUPER satisfying! Preheat your oven to 375 degrees f. and spray a baking sheet with nonstick spray. In a large bowl, add peppers, onions, pineapple, 1 tablespoon of the fajita seasoning, oil, sea salt and pepper to taste. Toss gently to coat well. Spread mixture evenly on the prepared baking sheet and bake in your preheated oven for about 12 minutes. Meanwhile, in the large bowl, combine shrimp, lime juice & zest and the remaining 1/2 Tablespoon of fajita seasoning. Toss gently to coat. 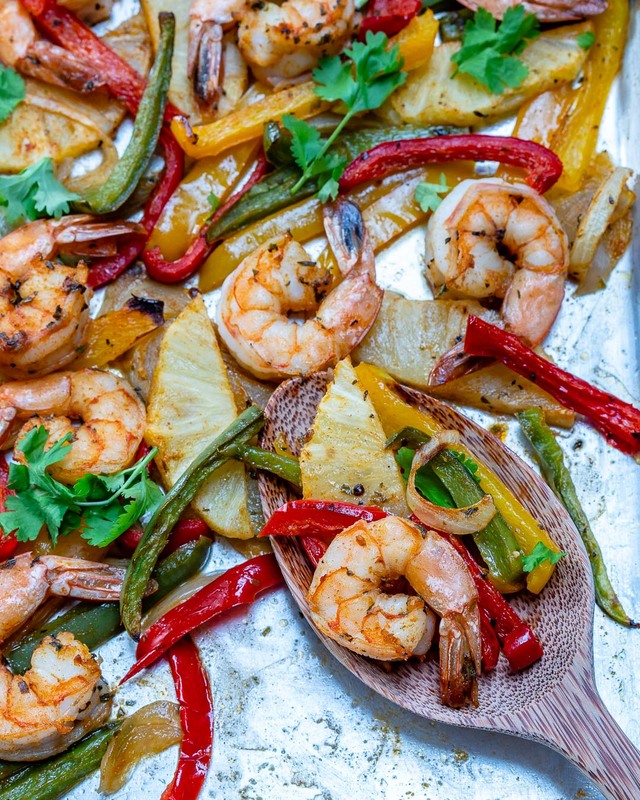 Remove the baking sheet from the oven, and sprinkle evenly with shrimp. 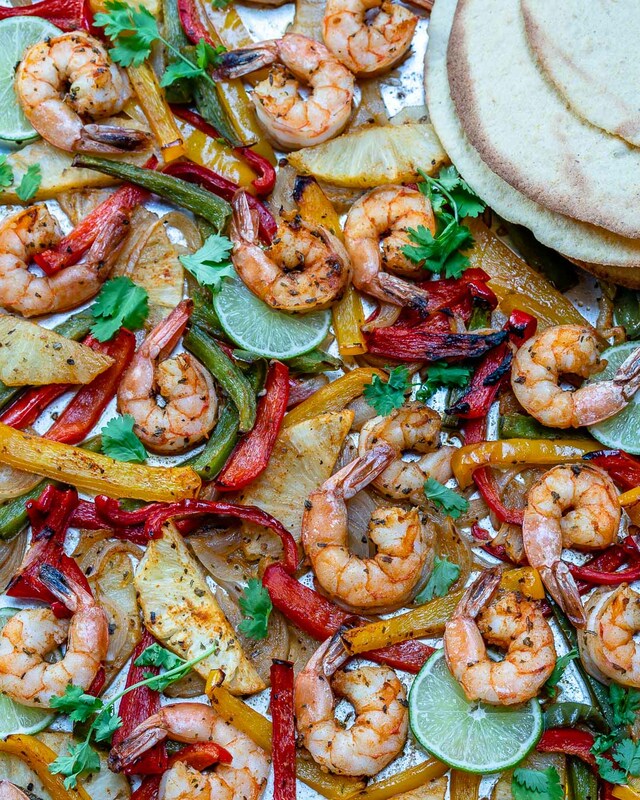 Bake for an additional 5-7 minutes, or until shrimp are pink and cooked through. 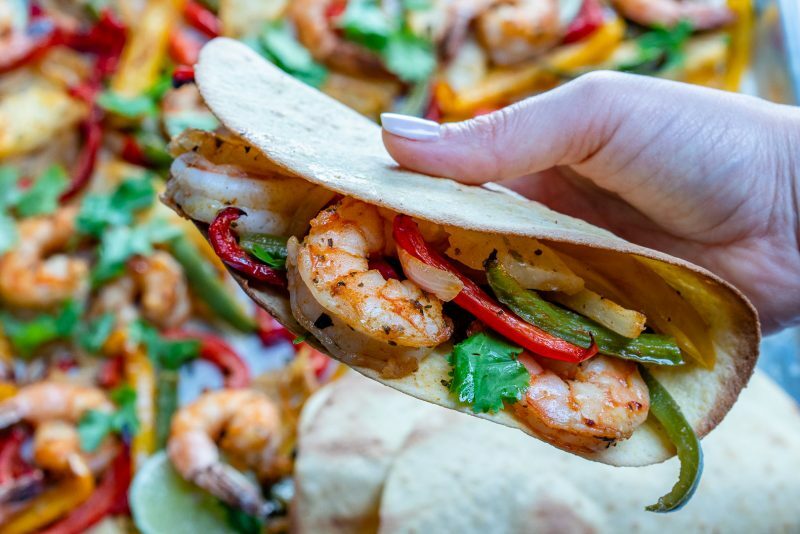 Garnish with fresh chopped cilantro and enjoy with warm tortillas. 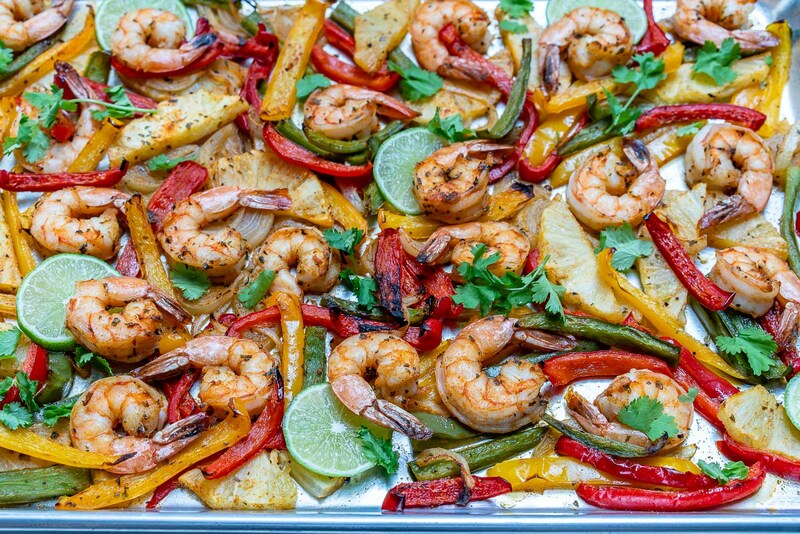 Preheat your oven to 375 degrees f. and spray a baking sheet with nonstick spray. In a large bowl, add peppers, onions, pineapple, 1 tablespoon of the fajita seasoning, oil, sea salt and pepper to taste. Toss gently to coat well. Spread mixture evenly on the prepared baking sheet and bake in your preheated oven for about 12 minutes. 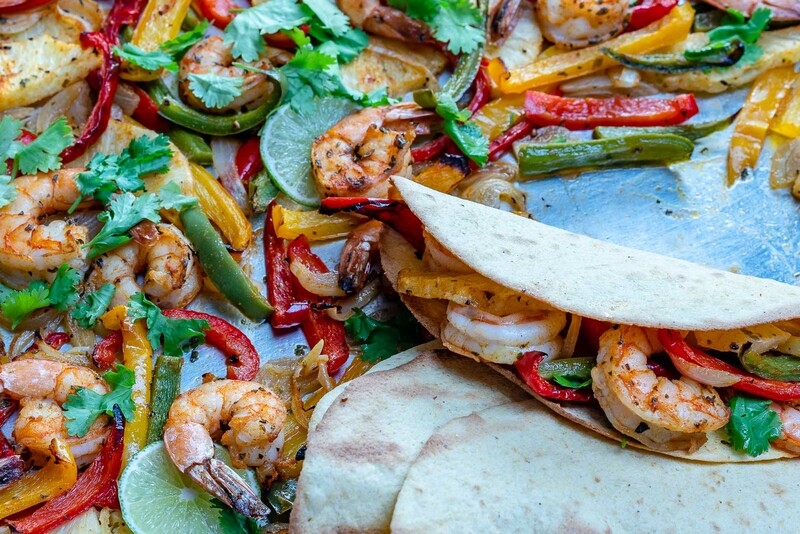 Meanwhile, in the large bowl, combine shrimp, lime juice & zest and the remaining 1/2 Tablespoon of fajita seasoning. Toss gently to coat. 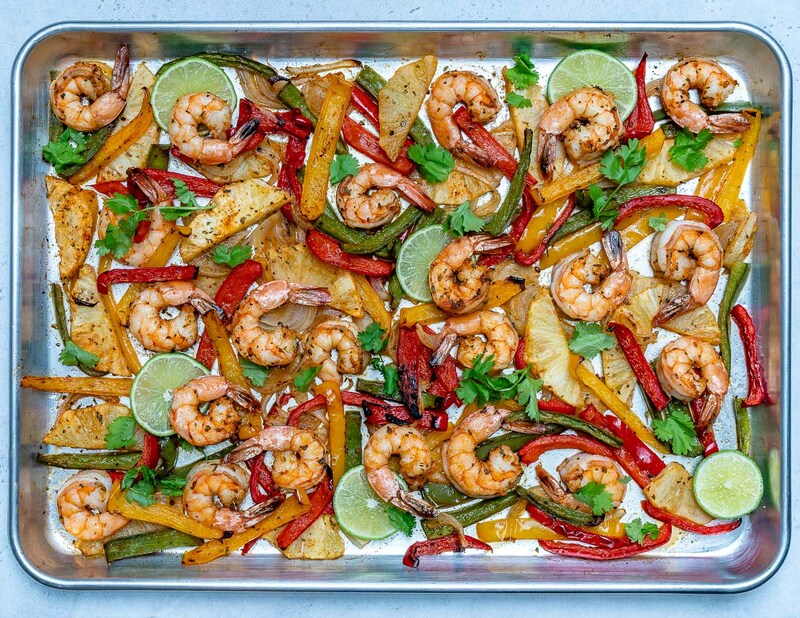 Remove the baking sheet from the oven, and sprinkle evenly with shrimp. 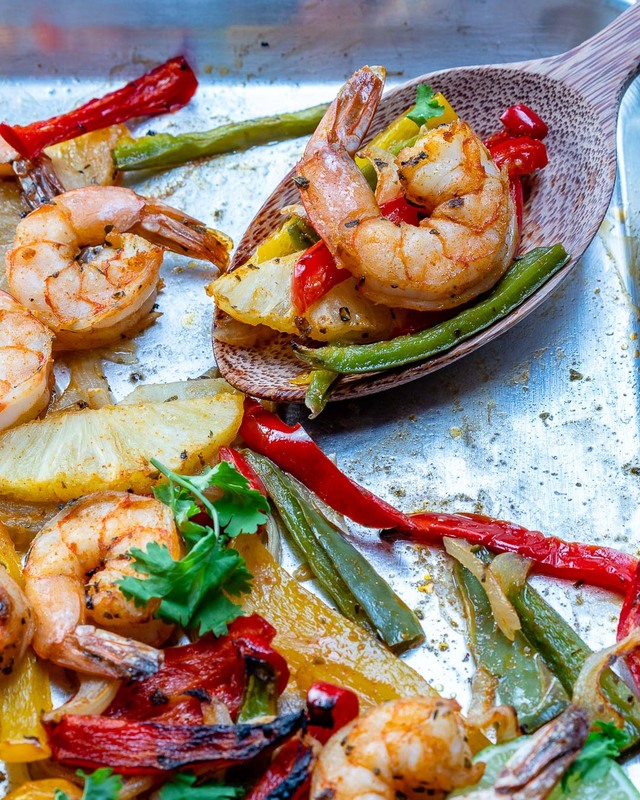 Bake for an additional 5-7 minutes, or until shrimp are pink and cooked through. 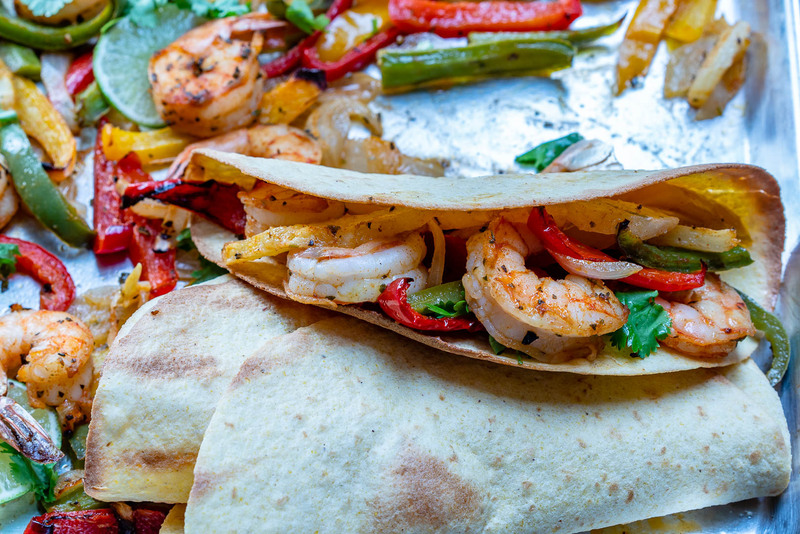 Garnish with fresh chopped cilantro and enjoy with warm tortillas.